Troy Illinois offers a small town feel with quick access to St. Louis. Located just outside of St. Louis, Troy is less than 20min from downtown St. Louis. Great for commuters who work in St. Louis!! The educational opportunities offered by Troy are outstanding. Troy Community Unit School District is one of the top school districts in the entire state of Illinois. Troy is also close to Southern Illinois University Edwardsville (SIUE). Troy has a lot of outdoor activities available to the entire family. Township park in Troy is one of the best parks in the Metro East area. Offering baseball, soccer, tennis, football and many other athletic amenities. Troy has direct access to over 85 miles of running and biking trails connected by the Madison County Transit (MCT) Trails system that will definitely keep your family busy in Troy. Conveniently located on the East side of Troy, adjacent to Triad High School, this community has a lot to offer. Private, wooded homesites with a wandering creek and lots of mature trees and green space provide the perfect setting for your new home. 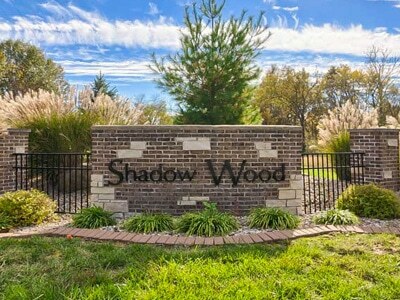 Quick and easy access to St. Louis or Scott Air Force Base for the commuter and all the conveniences a family needs are just a short drive away. The Homes of Liberty Place are located in Troy, IL. Direct access to Madison Country bike trails. Quick access to St. Louis via I-270 / I-55. Contact Premier Homes, LLC at (618) 656-2180 to discuss building your custom home in Homes of Liberty Place in Troy IL. The Hampton Glen community is are located in Troy, IL off O’Fallon road. Quick access to St. Louis via I-64 / I-55. Need close access to Scott Air Force Base? Hampton Glen is 20min from Scott Air Force Base. Contact Premier Homes, LLC at (618) 656-2180 to discuss building your custom home in Hampton Glen in Troy IL. The Shadow Creek community is are located in Troy, IL off Troy O’Fallon road. Quick access to St. Louis via I-55. All lots in Shadow Creek are at least 2 acres giving plenty of room for your family. Contact Premier Homes, LLC at (618) 656-2180 to discuss building your custom home in Shadow Creek in Troy IL. ARE YOU THINKING OF BUILDING A HOME IN TROY?